The exida Cybersecurity Scorecard Program™ is an independent evaluation of the cybersecurity capabilities and robustness of a product or system. The evaluation criteria is based upon industry standards and specifications such as ISA/IEC 62443 (formerly ISA 99), NERC CIP, NIST 800-82 and WIB. Cybersecurity Scorecard is not pass/fail. Rather, it is straightforward evaluation and reporting of the facts – analogous to a CarFax® report. It can serve as an indication of readiness of a product for certifications such as ISASecure™ or Achilles™. A Cybersecurity Scorecard offers a quick and inexpensive solution for companies that want or need to know the security posture of their products. Rockwell Automation today announced an initiative to help manufacturers reduce security risks to control systems in response to growing cyber-security threats. The initiative will help automation and IT professionals more effectively secure their industrial processes with a combination of control system design and best practices, contemporary technologies and professional services from Rockwell Automation and its strategic partnerships, including Cisco. Defense-in-Depth Methodology: Addressing both internal and external threats by forming multiple layers of defense which help mitigate various types of risks. The Rockwell Automation defense-in-depth approach employed in an industrial control system design and operation helps manufacturers by establishing processes and policies that identify and contain evolving threats in industrial systems. Secure Automation Architecture: The industrial control system represents the heart of production, and the security of information used for control, configuration and monitoring is critical. Rockwell Automation is committed to providing an evolving set of products and services that help to reduce risks, and better protect and enhance the security of your production assets. 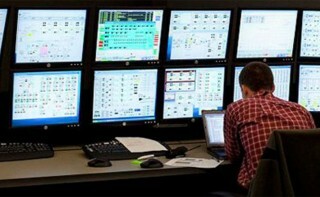 From active consulting engagements to specific product offerings, such as managed switches, secure communications, user authentication and access control, and end-point capabilities for tamper proofing and tamper evidence, Rockwell Automation is continuing to make investments to bring security practices and products to its customers. Enterprise-Ready Industrial Security Solutions: By teaming with Cisco and other industry leaders in physical network designs and software applications, Rockwell Automation is addressing both IT and industrial automation security challenges. Leveraging open-standard technology, Rockwell Automation and Cisco are helping manufacturers build a unified, secure environment from the enterprise to the end device on the plant floor. Together, the companies advocate for a common network architecture approach that helps decrease inconsistencies in network protocols, security practices and training. In the future, Rockwell Automation and Cisco will offer guidance on topics, such as resilient network design, access control, contextual identity management and protection of assets, through a portfolio of jointly developed industrial products and industrial control system security resources. The industrial security initiative from Rockwell Automation is based on a multilayer network design approach that combines resiliency in the infrastructure with security-enabled, end-point devices to help manufacturers establish a sustainable security culture, conduct comprehensive security assessments, and deploy a robust security infrastructure across both automation and industrial IT assets. Core to the initiative is implementation of a secure network infrastructure based on the use of the standard Internet Protocol (IP). For more information on best practices for security and defense strategies, download the Rockwell Automation and Cisco white paper on design considerations for securing industrial automation networks. exida, the global leader in functional safety certification for the process industries, has issued a functional safety certification per IEC 61508 for the Detcon TP 700 Hydrogen Sulfide Gas Detector. exida, the global leader in functional safety certification for the process industries, has certified the Det-Tronics FlexSonicTM Acoustic Gas Leak Detector for functional safety, ensuring that they meet the functional safety requirements for Safety Integrity Level (SIL) 2 capable per IEC 61508. Moxa has obtained both UL/cUL Class I, Division 2 and ATEX Zone 2 certifications for the ioLogik E1200 series Ethernet remote I/Os. These robust remote I/Os will not only continue to meet demanding requirements for a variety of mission-critical applications in harsh environments, but also provide proven safety and reliability for remote monitoring in hazardous locations. Fires and explosions can easily occur when a flammable gas and energy source combine. Therefore, automation system components need to be properly designed to be installed in these kinds of hazardous environments to eliminate the risk of an accidental explosion. Moxa's UL/cUL Class I, Division 2 and ATEX Zone 2 certified Ethernet remote I/O products are designed to provide an industrial-grade solution to monitor remote devices used in harsh environments. Check out the product page for more details.